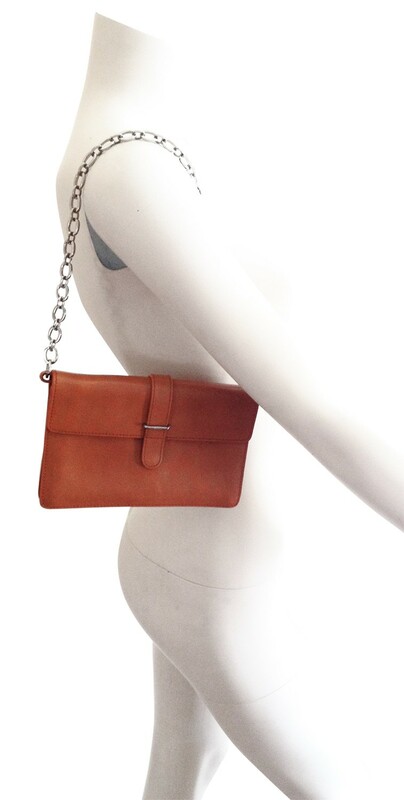 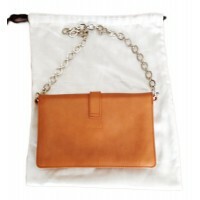 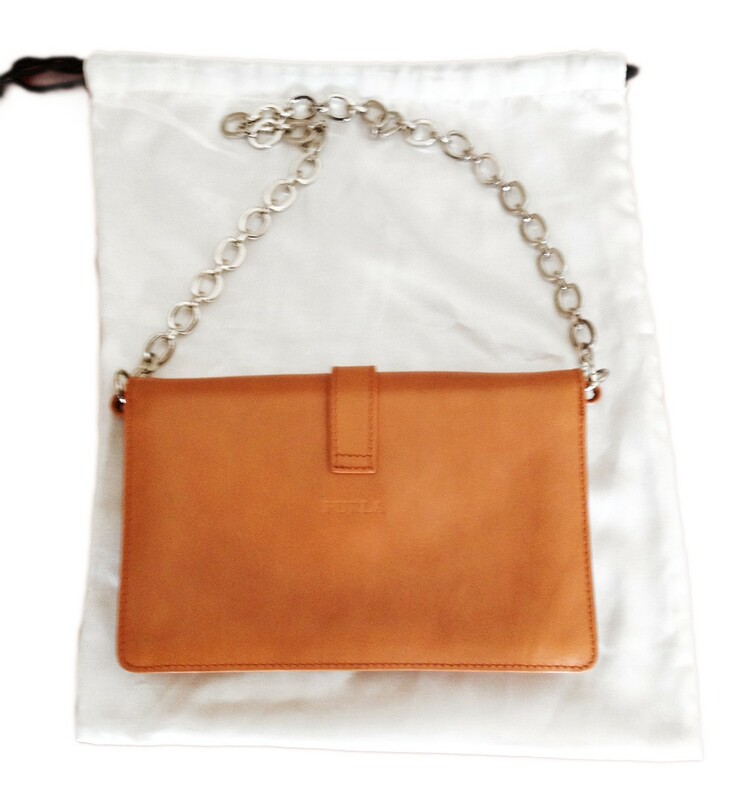 Between camel and light brown small bag with adjustable silver tone chain. 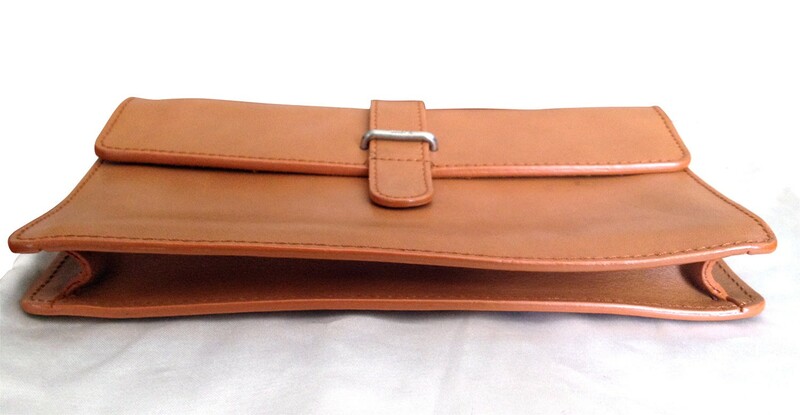 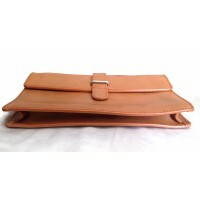 Can be used as a clutch and as a shoulder bag. 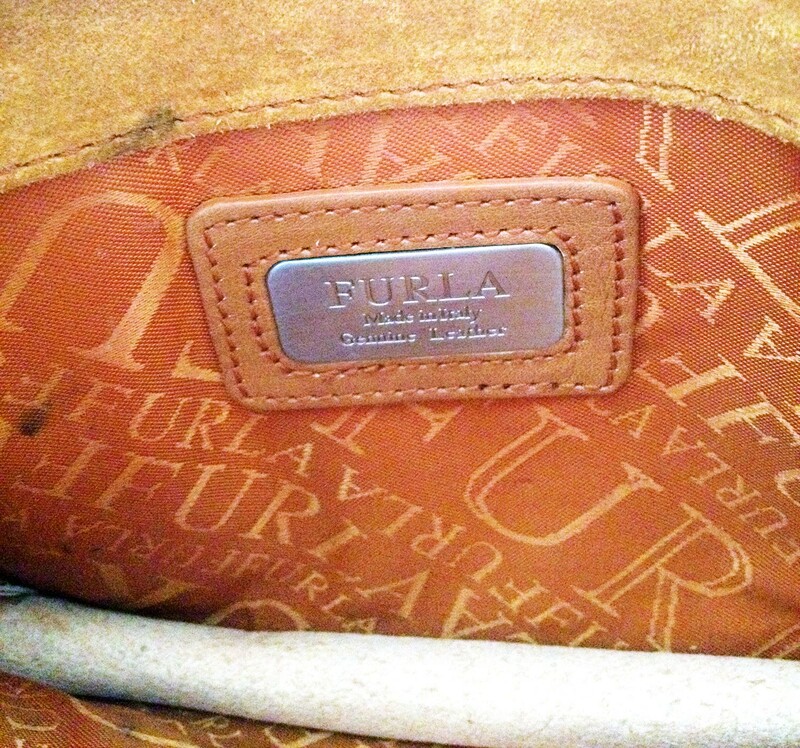 Like new, no signs of use. 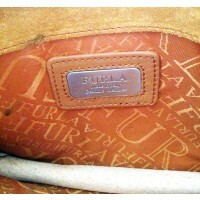 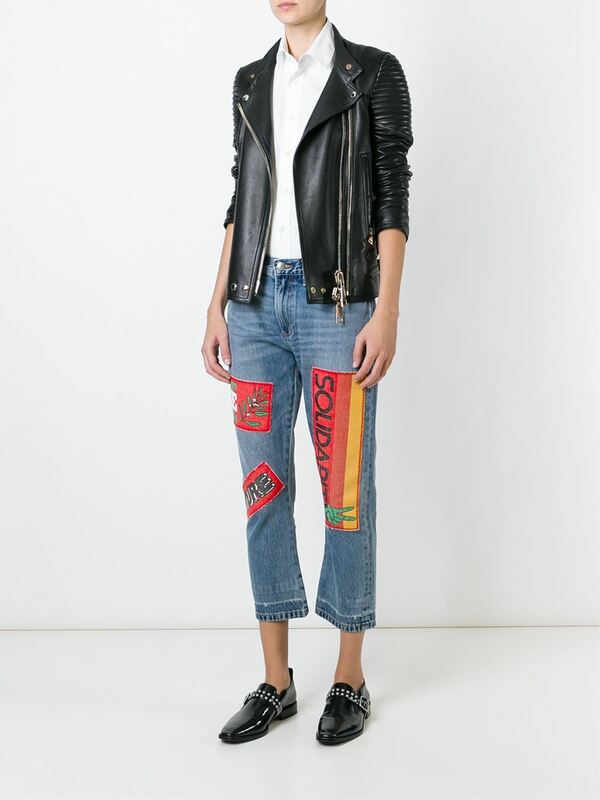 Lined in suede and FURLA patterned fabric.